The Clay Room was founded in 2018 to provide a studio space in Leicester for anyone with an interest in working with clay. The Clay Room aims to be a supportive, inspiring ceramics studio. We provide professional tools and equipment needed for many ceramic making processes. We offer membership for experienced makers and a range of classes to suit all abilities. The Clay Room was founded by Jo Keogh in response to an increased interest in ceramics and the need for affordable studio space in Leicester. A key philosophy of The Clay Room is to reinvest in the local community. Jo is an experienced ceramicist and studied MA Studio Ceramics at Loughborough University. She has a wide range of teaching experience and holds qualified teacher status. Jo also runs her own business producing ceramics for exhibition and retail. We occupy a self-contained ground floor studio within the creative community of Makers’ Yard in Leicester’s Cultural Quarter. 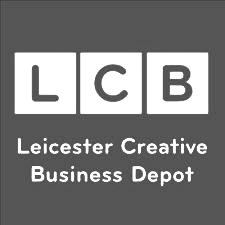 As well as the support of our clay community there is also the opportunity to access the facilities, business support and other events offered by LCB depot.